ePublishing Knowledge BaseePublishing Knowledge BaseePublishing Knowledge Base AdvancedHow do I restore a taxonomy that has disappeared? 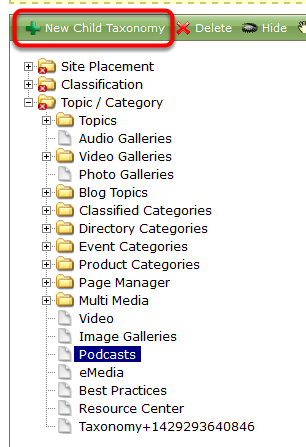 A taxonomy may disappear if the has_child flag for the folder is set to false. You will know this only if you know there should be children taxonomy terms under a given taxonomy, but it isn't. This may happen either due to an archive import or a taxonomy update / cleaning project. 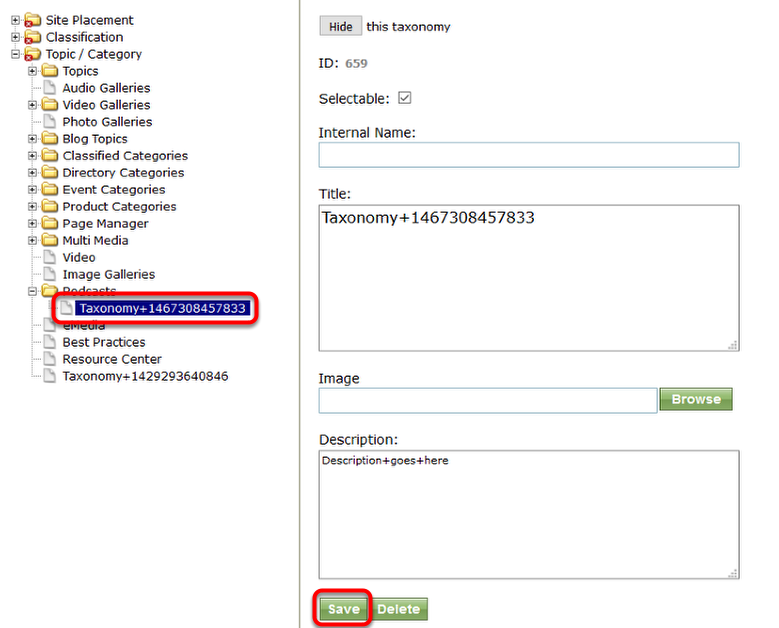 IMPORTANT: The taxonomy hidden taxonomies aren't deleted, just not visible to the admin tool. 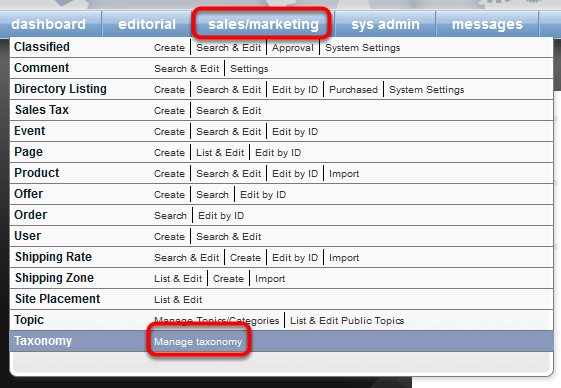 To access your taxonomy, open the Taxonomy Manager under Sales/Marketing on your Dashboard. Click on a folder to add a child. To add a child taxonomy, click New Child Taxonomy. A child taxonomy will appear under your folder. 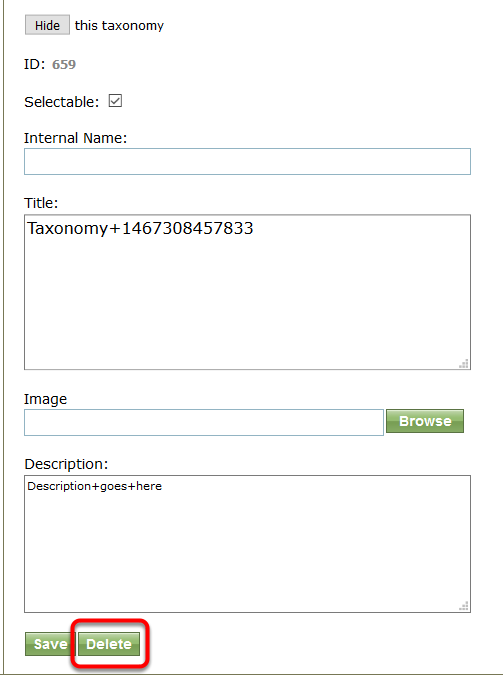 Click the new child taxonomy and then click Save. Then Delete the new child taxonomy. Doing so will activate the has_child flag and the taxonomy that previously appeared in that category should display. Contact your solutions manager if you have any questions or if the above does not work. Prev: Can our whole site be delivered through SSL (HTTPS) like Google suggests? 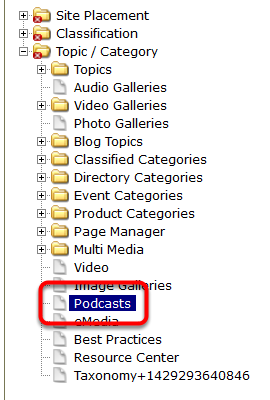 Next: How do the related widgets on my site work?